If you are active in the online marketing and blogging world, sooner or later you will hear about content curation. But if you are new to the game, you might easily get a little confused what content curation really is. Broadly speaking content curation means that you are using someone else’s content for your own purposes. However, we are NOT talking about stealing or copying the content of others. Content curation ALWAYS gives credit to the creator of content, and content curation at its best should also add something from you. To be honest, there is not ONE fixed definition of content curation. What is considered content curation and how much own input you need also depends on the reason why you curate the content. Curating content usually involves a serious amount of work on your end. You have to research content on your chosen topic. You have to review the content and figure out which content is really good enough to share with your audience. And content curation also involves some input from your end. The amount of work you have to put into curating content depends on what you intend to do with the content. There are various types of content curation that include different amounts of own work that you add to the content of other people. Sometimes your work is done with finding and sifting through the content – and then you simply share the content to your audience. And sometimes you will actually create your own content around the curated content. Content curation is such a broad concept that I can not give you an example for each and every possible scenario of content curation. But for you as a blogger or online marketer, there are two major aspects of content curation that you will see often and that you should know and consider using to boost your marketing results. This form of content curation is the simple concept of sharing other people’s content on your social media channels. You do not try to sell this content off as your own, you simply share a link to the original piece of content on someone else’s website or blog. If you want you can add a personal introduction or post text instead of the headline that you publish together with the link. Curating content for your social media channel helps you to add value to your target audience. It also helps you to connect with people from your niche if you mention the social media account of the author of the content of the post. They will notice that you shared their content and some of them will like or even share your post. This again, can add to your reach on social media and could even help you to grow more followers. Sharing other people’s content on social media will not give you traffic to your own blog or website. This means that you create your own blog post from multiple other blog posts. For instance, if you are not an expert on SEO but you want to cover the topic on your blog, you can do a research for some awesome blog posts on SEO and choose the best of them to curate into a blog post that you publish on your blog. In your blog post, you then write a short introduction for each of the posts and link to the posts for more in-depth information. This way you do not have to cover the topic yourself in-depth but still provide your audience with the information they need. Some of my articles have been curated into lists of posts on major blogs like Mari Smith and Adespresso. This form of content curation allows you to create more of your own content fairly easy. And if you curate with care, you still provide a ton of value for your audience! 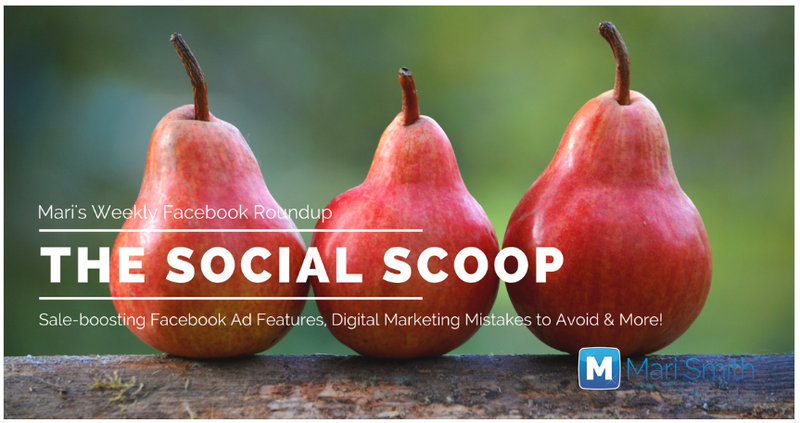 This type of content also usually gets some extra shares and engagement from the authors of the content. 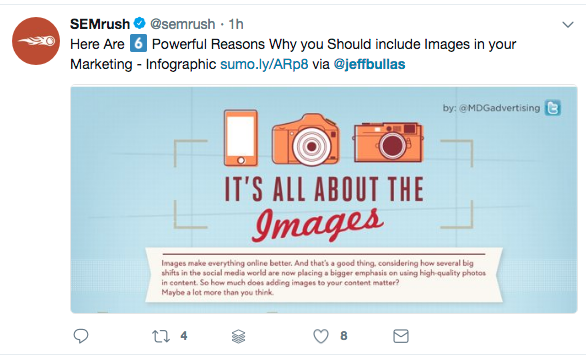 This type of content does not position you very well as an expert since you don’t share your own knowledge, but instead, you curate the knowledge from others. In case you are looking for more examples of content curation, I have collected some examples of content curation from real life. 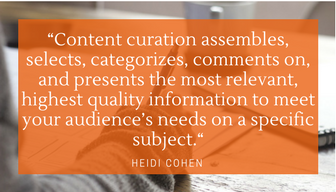 Finding the best content to curate usually involves a ton of research, reviewing, and sorting through the content you found. Once you already know a couple of awesome content creators from your niche, it gets a little easier since you already know where to look and who you can trust to create greate content. But content curation can still involve a ton of work. Lucky us that there is some awesome content curation software around. And while you are always good to start with a simple Google search, there are some far more practical content curation tools around. It starts with simple tools that allow you to follow the experts and content creators that you trust from your niche. You can simply subscribe to their newsletters or RSS feeds. Or you can use tools like Feedly or even Twitter lists to follow a couple of content sources on one topic in one place. If you don’t know all the important experts, competitors or influencers from your niche that regularly create awesome content, there are tools to help you with finding awesome content to curate. A while ago I put together a list of content curation tools you might want to check out. Content curation can be a fairly easy way to come up with new content. You can even consider to write a weekly or monthly curated piece with the best from your niche. 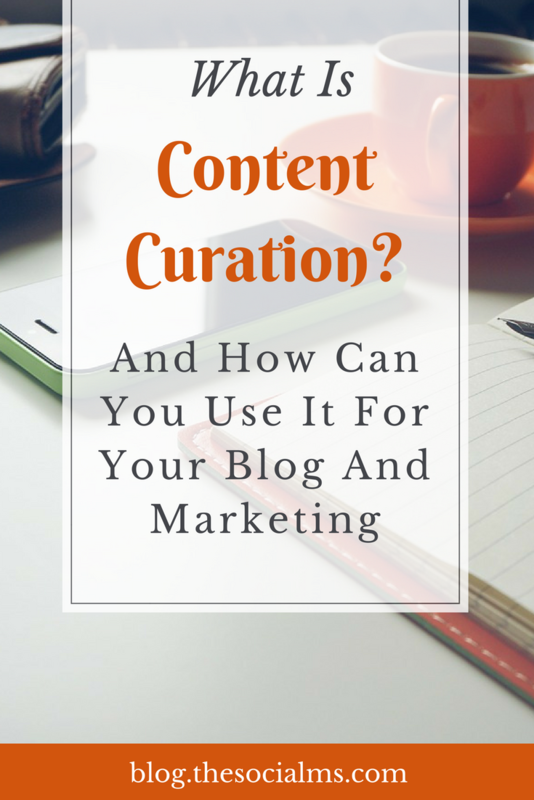 Content curation allows you to connect with people from your niche by letting them know that you curated their awesome piec of content. I am sure there are more advantages of content curation that I simply forgot to mention. If you have more in mind – please share them with us in the comments! Research content on your chosen topic –> sift through, evaluate, review, and select the content –> add your own voice to the curation –> share or publish the curated content. Some of the above-mentioned content curation tools allow you to automate a large part of this content curation process. You add your parameters, and maybe even some trusted sources and the tool does the rest – ok, this only works for social media content curation. No tool on earth will create your content. I am not very fond of this type of content curation automation. I like to know what I share on my social media accounts. I have seen too much total crap selected by content curation tools. 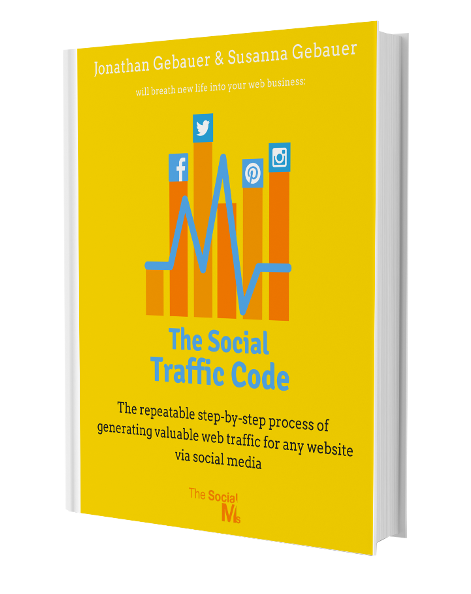 But you may find a setting and some trusted sources that will allow you to automate your social media content curation without hurting your social media accounts. It really is up to you how much you trust those tools. But if you do, revisit your social media channels and check the content that you share via the tools and also check how your audience reacts to the automated content curation. Don’t fall into the most common trap of social media automation and forget about checking how it pays off and how your audience responds – you could be totally hurting your marketing efforts without even noticing it.